Central High School of McMinn County: Highlights - Congratulations, Logan! Logan Smith, a senior at Central High School, was selected by DENSO as the APEX CTE Student of the Year. He was reocoginized for this honor at the annual Industry Appreciation Lunch sponsored by the Economic Development Authority. 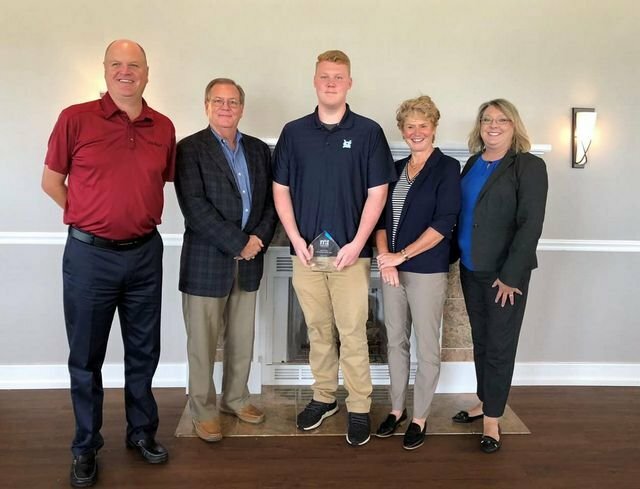 This award is presented to one student who is enrolled in a CTE program related to a career in manufacturing at McMinn County Schools, Cleveland State Community College, or Tennessee College of Applied Technology (Athens). Congratulations, Logan!